Lost Chapters HD is somewhat like Farmmville, in the sense that its a game about “harvesting” or “mining” resources. Unlike Farmville though, Lost Chapters HD is really fun to play. The story behind Lost Chapters is basically this: a handful of adventurers set out in search of ancient (and valuable) artifacts on a remote island. You, as the player, have to control their every move to lead them to success. None of the characters have any idea of the monsters and challenges they will face, and it’s up to you to make sure they thrive. Although the game and atmosphere first starts off as a beach trip, things get more serious as time goes on. 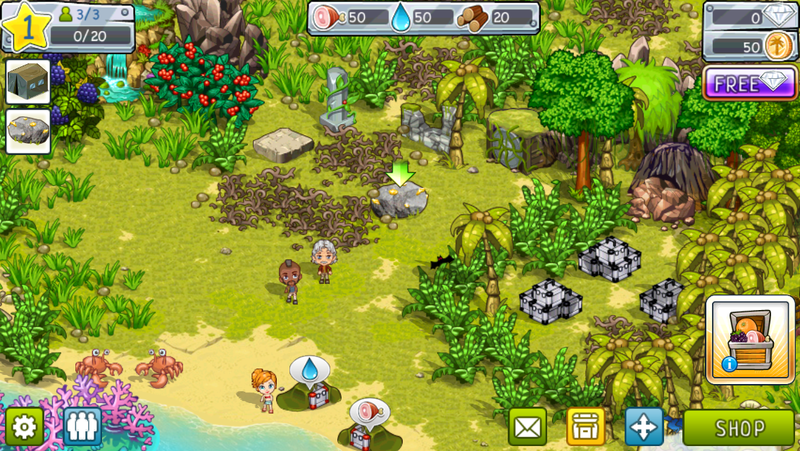 In Lost Chapters you have to keep your adventurers on-task by always making them collect food, water and wood. 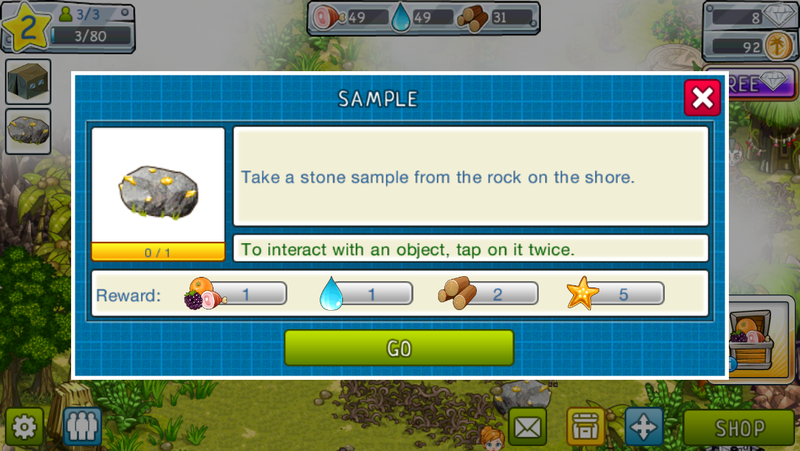 Collection is assigned by simply tapping on the resource that needs to be collected. Resources can be used in the engineering and living modules to create buildings and tools that benefit the adventurers. 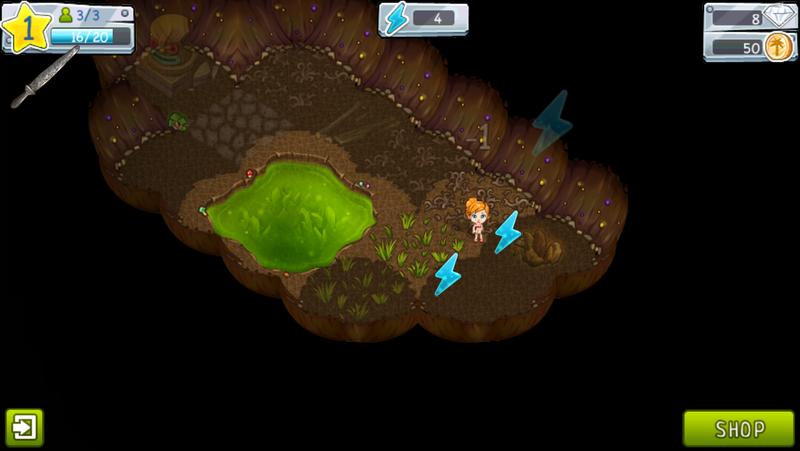 To keep things fun, you can also explore caves and conduct research experiments which both pay great rewards. These rewards come in a variety of coins and resources. To lead your adventurers to success you will not only need to keep them on task, but also have some sort of strategy in mind. Digging in the ground yields treasures, fighting monsters yields new land from the natives, and research leads to better technology. If you have a huge lot of land, its useless if you don’t have enough resources to dig it properly. Similarly, if you have a lot of resources and not land, you’re stuck. This game is all about balancing your time and resources in a manner that gets you ahead without putting too much at risk. In addition to all of the great things that you can do in Lost Chapters HD, it also comes jam-packed with tons of quests! These quests range from really simple tasks to bigger problems that you have to solve. Each task is more fulfilling than the last, so it’s great fun advancing in this game. Lost Chapters HD works on a time system. Anytime you want to cut down some wood, open a cave hatch, research new technology, or do anything else imaginable, you will have to wait a certain amount of time for the task to be completed. If you are impatient with this, you can do two things: purchase gems through in-app purchases, or earn gems for free by watching advertisements. Gems are really helpful in getting things done quickly, but are not required for beating this game. If you invite friends to Lost Chapters HD using promocodes,or enter in promocodes from your friends, you will both earn random gifts. This is definitely a cool and appreciated game feature. 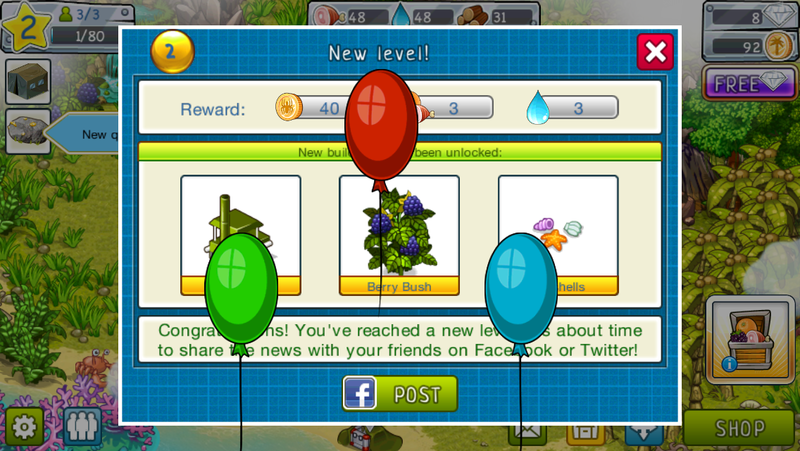 It makes it way easier to advance in the game when you earn a plethora of free resources from friends. This game succeeds where other Tycoon-styled games on the iPhone fail. Lost Chapters HD is an interesting game that many find enjoyable. In fact, it’s rated 4 1/2 stars on average. The graphics, game play, experience and music are all great. It’s no surprise that this game is so great though. 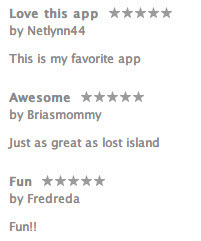 Lost Chapters HD is really popular on Android (known as Tiny Tribes). This game has done really well on Android and its doing well on iOS as well. When you watch video advertisements to earn free gems, the advertisement audio overlaps the game’s background music. It would be nice if the game music was muted. Also, when the game first starts, there is no initial cut scene explaining the story behind the characters. There’s a cut scene for the Android version, so I’m not sure why this was omitted in iOS. Lost Chapters could also be improved by having a guide tutorial sequence. But to be honest, the game is so easy that anyone with minimal game experience could pick it up in less than 10 minutes. 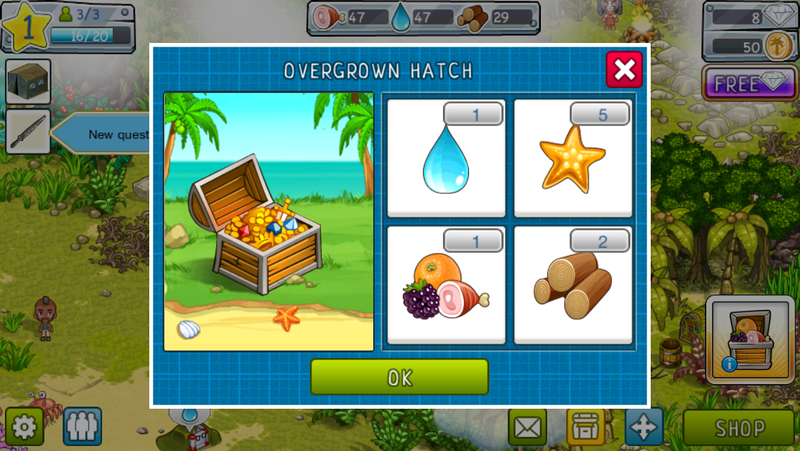 If you’re into Tycoon-styled games or Farmville, then Lost Chapters HD is just the game for you. If you’re a novice gamer and have never played strategy type games before, then Lost Chapters HD is still a great game to try. It’s free and pretty easy to get into.